Profile Builder lets you customize your website by adding front-end forms for all your users, giving them a more flexible way to modify their user-information, register or login. To achieve this, just create a new page, and give it an intuitive name(i.e. Edit Profile). Now all you need to do is add the following shortcode(for the previous example): [wppb-edit-profile]. Publish your page and you are done! [wppb-login] – for adding a front-end log-in form. [wppb-register] – to add a front-end registration form. [wppb-edit-profile] – to grant users a front-end acces to their personal information (requires user to be logged in). add a custom stylesheet/inherit values from the current theme or use the default one, built into this plug-in. select whether to display or not the admin bar in the front end for a specific user-group registered to the site. select which information-field to display on the WordPress user registration and WordPress edit profile pages on the front end. Find out more about Profile Builder Pro (Pictures and Video preview included). That one is a bit different. From what I can tell you can only edit your profile from the front-end. With this one you can add a login form, register form and select what profile fields should be shown in the front-end. I will be purchasing your plugin, however, I’d like to make certain it works properly first. Have set up the pages as per the instructions, then signed out of the back end of my WordPress blog. I clicked the registration page link (mine says “Sign Up”) and completed the registration using “Test” as my name and a different email address… and all of THAT worked okay. When logging in as “Test”, the very first sentence is displayed so quickly I have no idea (and I’ve tried several times to snag a copy) what it says… then I see the following “You are currently logged in as Test. Log out »” …and when I click on my username “Test” I assumed I’d see my profile page… but NOPE! I’m sent to a blank page titled “Articles by: Test” along with a standard gravatar image. 1) Do I need to pay for the plugin in order to complete the setup? 2) If yes, once I’ve paid for the plugin, will this step then send the new contributor to their profile and/or the proper area to post their story and upload their images? Am anxious to get this setup and working a.s.a.p. but don’t want to spend my “one year of support” on setting it up. Would sooner the one year of support start after setup and be spent on updates. That’s my main reluctance to paying for this plugin straight away. regarding that link you mentioned, we did it so, that users have access to their previous posts, but if you don’t like the default message, you can use the following filter: wppb_login_login_message1, to set up a custom message of your choosing. Also, for the editing and avatar upload, please refer to the “edit profile” shortcode designed specially for this. Neither question were answered. Even if I were to change the message (which was not my reason for posting my questions) the new contributor would still be sent to a blank page as their profile, so I am still lost. 1) Do I need to purchase the plugin before receiving this info? 2) Do the paid-for instructions show clearly-stated instructions/steps on how to send new sign-ups to their profile page? PS: Also noted no email verification available in the free version of Profile Builder. Verification helps keep spam bots from creating new accounts. Is that option available in the paid-for version of this plugin? 1a) regarding the redirect after login, you can either use the custom redirect feature found in the premium version, or use the following filter: “wppb_login_login_message2”, also prezent in the free version. The documentation section of our site presents a few examples using the fuilters, or you can read more from here: http://codex.wordpress.org/Plugin_API. As I said before, the login page, by default will only log in the user (replicating the basic WP functionalities); anything extra to this can be done for everyone individually using the built-in filters. c) yes you can use all the shortcodes in the same page or widget BUT at the moment it isn’t 100% compatible with this feature, so when logging in (for instance) you will receive an error message in the edit profile and registration forms, since those fields are blank. 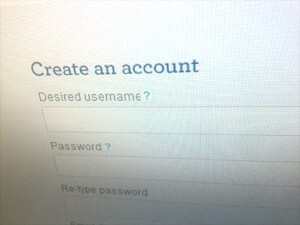 Still: the user will be able to log in. 2)users get redirected to the author post page from within WP. It doesn’t have a log out, because wordpress.org didn’t build a logout button/link on that page. Neither does the “edit profile” page have a logout button/link. There is an example on how to do such a menu also in the documentation section of our site, but that also needs to be customized. Finally, the email verification problem: yes, there isn’t this feature yet, and neither is the admin approval, but both of them are work-in-progress, and it should be out in the next 10-12 days (after proper testing). Until then, there is a downloadable reCAPTCHA form for the registration page. Hope these did it, if not, let me know! Also, would really love to see a video of this plugin being installed, setup, and used in WordPress. You know the old saying “a picture is worth a 1000 words” and, well, I learn best with visual aids. Some general feedback regarding the plugin code because you’ve started posting links to it on WPSE. There’s a bit more whitespace than necessary, you have 117 lines of code in the main plugin file spanned over 281 lines… the other plugin files don’t seem to suffer from white-space syndrom though.. Please please please though, add a sanization callback function to your registered settings, ie. `register_setting( ‘group_name’, ‘option_name’, ‘your_callback’ )`… without one, none of the settings get any kind of proper sanitization.. (none of your plugins settings are sanitized currently – why not?). Also, your $wpdb calls are totally un-necssary, but then the comment you have above those lines suggests you know this already, so what you waiting for? In all fairness to you I’m not a plugin developer. This is the first real attempt to create a more complex plugin so I was actually expecting these type of problems. As for the $wpdb I thought I removed those! My bad. Hey Cristian, that’s a nice idea for a plugin there. What I would like to see is a single shortcode that does everything on one page. So – if you’re not logged in it shows the registrations AND login forms, and if you are logged in it shows the edit profile form. I’ve been using this functionality on a few projects and decided it was time to move it to a plugin. The large number of settings a.o. features make it a very nice plugin. Nice job ! Thanks for sharing ! Is there any way to translate the result in the front end ? I am doing a multilingual website and I’d love to have it with languages from WPML for example ? WPML > Themes and Plugins localization > Strings in the plugins > It works!! Thanks again for the nice job ! If you liked it please rate it on the Plugin Directory! Can pages be assigned to users listing their account information such as name, website, email, bio, etc.? For example, on Tutorial9, the http://tutorial9.net/author/Abhimanyu shows my account info..
By default this plugin doesn’t do that. 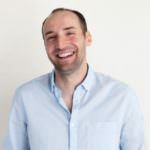 You need to modify your author archive page. First, this is awesome! I was having such bad luck with CYC trying to accomplish this, what you would think should be a basic task. So, I have your plugin installed. But now, things are a little wacky – this page on my site has the login form twice above the main container and then once in the appropriate spot. I’m a very very basic coder – I can run circles around CSS and HTML, but this plugin stuff baffles me. Any thoughts as to what I might need to do to fix this? Nice job, Man… I was looking for such a tool for a very, very long time !!! Thank you for the job. Just a point that hurts me… I’d like to localize this plugin (in French, in my particular case). Have you got the project to make this job ? And could you give a POT file if you don’t wanna make this localization by yourself ? I can do this. No problem ! It was just a suggestion : I know that’s a heavy duty to work on this kind of thing. Just take your time. Hi, thanks for the tutorial and the plugin. I think if you crossed your short code based system with some of the functionality of Registration Plus Redux (like automatic field creation, ToS approval) you’d have *the* frontend user management solution for everyone who’s not buying gravity forms. Have you ever considered to expand the functionality so user can upload images? There’s already in the works a future version of the plugin that will let you add extra fields, including uploading of files and avatar. It should be released in tops 2 months. That’s great news (for future projects)! For the current one, I decided to mod registration plus redux by writing a front end form that uses the standard hooks. But all this runs into problems with stuff like password retrieval… I really think the whole profile part should be rewritten in core and joined with the BuddyPress X-profiles. I’ve never understood that redundancy. Maybe your plugin could serve as a starting point? There is no way to do that right now, however an updated version is in the works and will give users the possibility to add extra fields. It should be ready in 1-2 months. First, THIS IS AN AWESOME PLUG-IN! I just noticed a small issue with the website-field: It always adds the http:// automatically. If you safe the form the next time, it again adds the http://, so it will be twice, then three times and so on. Maybe only on my sides or can you reproduce it? Thank you for the bug report. I’ll have a look tomorrow and issue a fix if needed. I have the same situation on my recent installation – other than that – great plugin! This bug is fixed in version 1.0.9. This looks like a great plugin. I think I’ll integrate it soon. Not quite yet though because I’m not so sure I’m happy with my blog. Thanks a lot! Does this Profile Builder only work with Default User Roles? I have added an additional User role and it doesn’t seem to be picking it up. If the User Role is “Member” (newly created), when the user forgets password, User gets sent to the ‘back end’ after login. Is that a default operation when password is forgotten? Right now the users created are by default Subscribers. I didn’t think that you might need a different Role for them. It’s actually a good idea to have the possibility to register users with different roles. We’ve written this down, however I can’t give you an estimate when we’ll add this functionality. As for the lost password, we’ll try and figure out a solution for it in the near future. Thank you for your kind works. There’s already in the works a future version when you have the possibility to add extra fields to the user profiles. However that’s a couple of months away so fell free to modify the existing version to fit your needs. I appreciate your helping hand but my colleague Gabriel is working parttime on this plugin and we should have a beta version in a month or so. I was wondering if it’s possible to have this plugin work with Register Plus Redux (http://radiok.info/blog/category/register-plus-redux/) and ProjectManager (http://wordpress.org/extend/plugins/projectmanager/). These plugins add additional functionality and fields to the profile page and they appear in the /wp-admin/ interface but none of the fields appear with this plugin. Is there an easy way around this since they appear in “Your Profile” normally? We’ll never make Profile Builder work with any of those plugins. Instead we’re working on a version that let’s you add custom user fields easily. The problem was fixed so please update the plugin to version 1.0.10. Thanks for the great plugin. How can I display a profile page of a registered user with all the details filled in when registering? Thank you for your quick response! I will definitely study the tutorial. Could you please also give a hint how a user can upload an avatar picture when registering through your plugin? Also, you mentioned you are working on a new version of the plugin, so what are the new features you would like to integrate? Creating the avatar upload is a bit tricky because it has to be integrated with the avatar function in WordPress. As for the new features they include the avatar upload, together with extra custom fields for user profiles. I can’t give you an exact date for them. I have managed to implement the avatar upload with the help of User Photo plugin and integrated in your wonderful Profile Bulder. I can send you the code if you wish, so that you can include in in your next release. Thanks to your recommendation I also managed to create a custom author page with all the fields submitted during registration. I have one more question for you now: how can I automatically log in the user and redirect them to the main page after they have signed up? This is so nice, I will use it! Thanks! Also one question: will there be a localized version? This has been so helpful!!! Thank you for your work! I am wondering if there is some way that, after login, the page can refresh to hide hidden pages to logged in users? I deactivated all other plugins and checked this with two different themes (the wp-standard theme twentysomething…), so seems to be a problem with the profile builder. When I looked into the files I saw that some closing “?>” where missing sometimes. Tried to correct this, but it didn’t work. If it is important: I call the shortcode in a template via do_shortcode-function. I’ve fixed this bug and an Automatic Update should come any minute now. The problem was that wp_update_user attempts to clear and reset cookies if it’s updating the password. Thus we were getting the “headers already sent” bug. Could you please also submit the code you are to change. I have done lots of modifications in your code, so updating will result in resetting to default. Also, any updates concerning my question above? The changes took place in includes/wppb-front-end-profile.php. They are right at the top. You can compare the files and see the differences. Here’s the code for User Photo plugin. I am not a great coder though, you will definately want to add “if user photo plugin is installed then…” condition. I will try your solution with the redirect. Is there a way to automatically login the user after registration? Hi Cristian, works great, thank you very much for the fast fix!!! I put the code in the wppb-front-end-profile.php and the upload function exists with the User photo max upload size, but once uploaded “no show”!!!???? 🙁 Any idea? @Cristian love this plugin!!!!!!!! Guess everybody is waiting anxiously for the update with the extra fields and the photo upload function. just as an information, maybee interesting: I messed around with profile pics, as only a small number of users have gravatar. Instead of using a picture upload (complicated), the users can now add their twitter-profile-pics by simply adding their twitter-names. I think a lot more users are on twitter than on gravatar. 2. Then I simply copied, pasted and modified (renamend all Jabba to twitter and facebook) the fields and functions for “Jabba” in your user profile plugin, so both fields are editable frontend now. I think I will built a check-box, so that the users can decide, if they want to use the twitter-pic or the gravatar-pic. Thank you for your input and I do like the idea of using the Twitter avatar. However the upload avatar functionality is already implemented and now we’re at the stage of cleaning up the code a bit and finalizing some functionality. I hope that by the end of this week we’ll have the beta ready and I’ll setup a page so people can sign-up for it if they want to test it. Also part of the functionality is adding extra fields 🙂 So those that wanted to combine Cimy Extra Fields or Redux plugins with Profile Builder don’t have do that anymore. It’s nice to hear the plugin is getting more and more comprehensive! Did my piece of code help you a bit with avatar upload? We did consider your code, however we used default WordPress functionality to upload and resize the avatars (now they also appear in the media library) and also we filtered get_avatar so that you don’t have to modify template files like the author template. How soon do you think you’ll be able to release the version that allows upload of user pics? Would be very useful for a project I’m busy with at the moment! Next Monday I’ll setup the beta page where people will be able to sign-up for the beta and download the new plugin. Either that or just wait for another 2 weeks until we’ve planed to lunch the new version. There will be a new post about it so you can subscribe to the rss feed or via email to be notified. Could you please send me the link to the beta version when it’s up? It’s possible to retrieve the information about the logged-in user, for example, to fill automatically a checkout form? If yes, how can I do that? Best of the best plugin for the front/back-end profile editing! I’ve killed the whole day to find out how to add picture upload functionality to the plugin and to my luck found that the new version is coming soon!!!! Thanks, Cristian! Waiting a lot! I do have one suggestion for future versions: include apply_filters('wppb_X', $output) on return $output; calls in all the functions that output the forms. In some cases it might be useful to have access to the output of the plugin, in order to change some of the code (eg: change element IDs/class names, add a wrapper element). That’s on the to do list. We just didn’t get a chance to add them. The new version will have filters and hooks on every output. Any ideas as to what some of the filters’ names will be? I just want to future proof one theme I’m building now. Thank you kindly for the work and making it available. While I appreciate the many comments and suggestions made by others, I am happy with the plugin as you have delivered it. I am focused on managing the club, not on site development, and while there are numerous great ideas and tips above, I just wanted to thank you for making my life easier. Question… How do I get custom fields on the profile register/edit form? I have extra fields using Register Plus Redux and also have extra event registration fields for Event Espresso. I signed up for it, but haven’t received a link to the beta version. Love to try it out. If you sent your e-mail address via the sign-up form, then you should’ve received the download link. If you didn’t receive nothing, please re-send it. For some reason it is redirecting to archives and would like to redirect to home page. Can you please tell me how to go about this? I saw your post above on the redirect but not sure where to put it in the php file. Hi Cristian, your plugin helped me pretty much! i realized that your plugin does’t have translation support. I’d like to share with you and the community the Portuguese translation that I made. I’m interested in doing the same with French, but I didn’t found any POT file into the plugin folder. How did you realized it ? I’m available if you need a help ! So, Christian, you can contact me by email. That’s because there isn’t one. Version 1.1 is almost ready to launch and I’ve included a .po file for translation. OK! You can count with me! I received an adjusted plugin from you for the admin bar problem, but what do I do with the update to version 1.1? When I update the adjustment is gone and so is my admin bar. But will it work with WP 3.2 when I don’t update? what you can do is create a back-up of that file (either rename the plugin folder and then deactivate it but DON’T uninstall it) and just copy the updated version in your wp-content/plugins dir, or create an archive. Regarding the 3.2 compatibility: yes, the old version is still compatible with the new version of WP (if you prefer to use the old one). Maybe I don’t understand it correctly, but it’s not possible to have the new version without the admin bar disappearing? It is disappearing from the front end. I, as the admin, want to be able to see it. The subscribers should not. This does not work cause it nevers shows up. No matter what setting. Ok… that’s weird, we can’t replicate it. If you go to http://www.example.com/wp-admin/profile.php when logged in is Show Admin Bar checked? One of you checked it before and couldn’t see anything. That’s why I got an adjusted plugin in which the admin bar function was disabled. Now, i would like the new version of the plugin, but then the admin bar function is enabled again. But, is there a solution for me to use the new version or should I go back to the old version? Could you please let me know something? as Cristian stated, we searched for the bug you reported, but we simply can’t replicate it. 1) Is it possible to connect the registration with akismet or a similiar SPAM Protection Plugin? 3) what is the best way of changing the style of the output? Just copy the css definitions in the main css file to avoid it to be overwritten after updates? 4) How does the Plugin choose the language? I wanted to translate it to German but I am a new to this, so how is it done? I downloaded poedit, choose the en_US.po file, translated it to german and saved it under de_DE.po. I uploaded it via ftp but nothing changed – what is the right procedure? Thanks for your help and your nice plugin. 2)we didn’t discuss this at all ’till now, since it’s not been requested. I will note this “feature” and talk it over with others. Is it in some way possible to give something like a mandatory status to custom fields? How do I make the translated files work? open plugin_dir/front-end/wppn.register.php and in the foreach from line 74 you need to verify (in each of the cases) if $_POST[‘custom_field_’.$value[‘id’]] != ”. The only downside is that you can only check if ALL textareas (for instance) have been completed not just a certain one. We will add the option to select whether a certain custom field is or isn’t necessarily completed upon registration. sorry for the late reply, but to make the plugin detect the files just rename the .mo and .po files from en_US.po (for example) to profilebuilder-en_US.p (basicly before every translation name add the “profilebuilder-” prefix. We will issue and update for both premium and free very soon. Are you thinking about to integrate a facebook oauth for the registration process? Well, to be honest with you, I doubt it…but who knows? Facebook login would be a beautiful thing! I bet you’ll be able to charge more for the premium plugin if you did. As this will be a feature (if it will be implemented), the price will still stay the same. To make the plugin detect the files just rename the .mo and .po files from en_US.po (for example) to profilebuilder-en_US.p (basicly before every translation name add the “profilebuilder-” prefix. PS: we and other PB users would be very grateful if you could share your translation with us/them. If you wish to do so, please send them over to gabriel@cozmoslabs.com. 1) Is it possible to have a register link next to the lost password link which redirects to my registration page? 2) In the Basic version the lost password link redirects to the wordpress default registration page/design. Is there a way to change that? 3) Is it possible to send emails to both the new user and the admin? And is it possible to edit the default email-template (e.g. From Mail, subject and text)? Would be great to get feedback very soon! Anyway seems to be a great plugin which is overdue. Thanks a lot! answering questions 1 and 2, at the moment the “password recovery” feature is not yet implemented, and will not be available with the next update, which is scheduled to be launched next week (or so). So even you can’t redirect the user for the password recovery, the update I was talking about can be set to restrict access to the WP login and register sections, and/or to redirect them to a custom page. 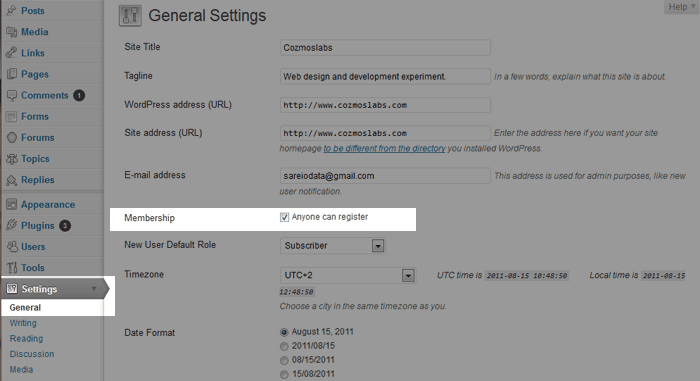 3) both you and the admin receive an email when a user signed up, although for now the template is not customizable. Alot of people have asked for this before, so it will be done also. Even though these features you asked for aren’t there (yet) a lot of other (cool) features are, which surely help any blog/site administrator. This works nearly fine – after a login with you plugin I get the message “You are now logged in”, but the site is still named “Login”. After Browser-Reloading the site is named “Logout”. If I press “logout” the site is called “Login”. Would be gread if you could help me because if I could solve the problem I would like to buy the PRO Version for my website. I think you skipped a step there: when you enter the correct username and password, the notification displays a similar text: “you have successfully logged in with … ” (1), and after 1 second the page refreshes automatically and now the text says ” you are logged in as …. Logout” (2). So my question is: This works nearly fine – after a login with you plugin I get the message “You are now logged in”, but the site is still named “Login”. After Browser-Reloading the site is named “Logout”. The after browser-reload is in fact step (2)? Could you give me a link to your site/blog so I can see, and maybe better understand? Why is it that ONLY a admin can add users? Whenever someone tries to register it says that “only a admin can add users at this time” why is that? I want people to be able to register for my site without me (the admin) having to do it for them…PLease help….ASAP! I just bought the premium profile builder from Coz and I’m running into some issues with the extra fields. I tried adding an avatar field and a few others like “headers” but I keep getting the same error message. “You must give your option a title.” Please help me with this asap. Thank you. as you also posted on the forums, we will continue the thread over there. Umm….your demo is broken (appears the plugin is offline). Thought you’d like to know. what do you mean the plugin is offline? Hey, when using this plugin, when someone registers from the front end, it has an error when sending the notification credentials and email? why is this. Is your server configured to send e-mail messages? And please use the support forum for such questions, as other might benefit from this question also. Sure, no problem and How can i tell if my server is configured? if result is true the server can send emails, otherwise it's not configured. By changing the $to variable, you can also check if it arrives. “Still not working” does this mean you got a false value? So then this is why you get the error, it is not from the plugin. You just need to configure the SMTP port of your server. Nice plugin. Although, is there anyway to view in a single table under the administrator access all users default fields + added fields ? That would be great .Also, if all could be exportable in a CSV file, this would be paradize. you can view the default + custom fields for each user under the user’s ID, but not for all the users at once. Also, there is no way (yet) to export them other then using the options provided by phpmyadmin. Hallo! Sory for my english, i am from Bulgaria. What can i do to activate… To turn on my language? first of all make sure that the new file is in the following prefix: profilebuilder-bg_BG.mo and profilebuilder-bg_BG.po. If they are make sure they are in the following folder: plugin_dir/translation. Forgive me for not quite understanding, but what does this plugin do? I installed it, created pages using the four shortcodes (login, edit profile, recover password, register), and that’s it. Is there a profile page that displays for the user, and if so, is there a short code for the profile page? When I click on the sample user link I created (you are currently logged in as ) it goes to author/sampleuser, but then I just get a blank white page. I’m looking for a place where users can sign up and manage info (and perhaps someday attach their own files, upload a bigger profile pic, and include social network links) on their own profile page. I got the impression this plugin did that (at least display a profile page for the user), but I’m a bit stumped at the moment as to what it should do. If anyone can point me in the right direction, I’d appreciate it. well, what can I say other then explain it again: this plugin replicates the functionalities of the WP (admin) functions in the front-end using the shortcodes supplied. The profile page can be used from the userlisting (clicking the more link). The edit profile page (but also the registration page) holds the possibilities to upload attachments and avatar images, so those are covered by this plugin also. one problem can u help without login not show the profile create user login when i login for admin then show me create profile other wise not how to solve it ??? Let me explain it in detail.. Actually my issue is that regsiteration form is showing only when admin account is login. Without login, it is not displaying registeration form for normal users. So please please please help me. It is very urgent. what I could understand regarding your issue is that the registration page is displayed only when an administrator is logged in? Have you ticked the option: “anyone can register” in the back-end? yes when i login for admin then registration form show otherwise this is not show for index page how can i solve this? Thanks Gabriel. Sorry you keep having to explain things again, but I just don’t see the point which is why I asked after reading about the plugin. Being that userlisting is a pro version addon, I cannot test that. You say it replicates the functionalities of the WP admin in the front-end using shortcodes, but the WP admin functions are only text fields. That tells me there’s no actual profile page that displays the front end profile in a user friendly readable way (not just text fields), so I guess this plugin is not what I am looking for. Thanks very much for taking the time to explain it to me. The fields you see on the registration page are editable on the edip profile page. 1) Can I modify the email sendt to user and admin when a user registers for the first time? I would like to show username – phone – email and other custom fields. 2) Can i sort user listing by showing name – phone – and e-mail? So that I can show A-Z, with their relevant contactinfo at the same page. Wonderful work on the plugin so far, and I look forward to more great finesses added in upcoming patches. I am glad you took a chance to review this plugin, and also that you thought of purchasing it. 1) yes, can be done easily using the built-in filters. 2)at the moment on the userlisting only the following fields are shown: http://testserver29.com/profilebuilderpro/?page_id=38 If you need anything else we can provide you with another plugin (a framework) for you to display any fields you wish, or we can do it for you (custom job). 3)No, there is no such feature implemented yet. The Pro version of Profile Builder has this functionality, but it hasn’t been tested with BuddyPress or MultiSite for that matter. While it will work just fine, I’m not sure how it will fit into the BuddyPress workflow. Have you tried the Profiles Plugin in BuddyPress? Can’t you achieve the same thing with it? The plugin looks great, however I have a few questions. I gather that you can have custom profile fields that users can fill out when registering, but is there any way for the users to actually view their profile? Like a forum, you can go to example.com/user/username – and the profile will be there. I want users to have their own publicly viewable profile, with the option to have an avatar, and if possible a signature. So in summary, a profile just like on a forum. Is that possible? Or do you know any Plugins that could do that? yes it can! And here is a link to a site with Profile Builder on it: http://testserver29.com/profilebuilderpro/. If you have any more questions, feel free to ask them! I’m using profile builder 1.1.9.
when i logged in as an admin i am able to register new users and those users can login normally. did you enable the option so that anyone can register themself? It is a WP option in general settings/membership. i just did that and it is working..
What about if you have already added new custom fields at user registration using Register Plus Redux plugin? Does the commercial version of this plugin allow you to access and modify these custom fields you;ve already added and had people submit info through using Register PLus Redux? Please advise. Great work on this, btw. When I enable Profile Builder Pro, Admin Bar disappears on the front-end, while all the boxes are on display in the options. Do you have a trick to get this to work. to be honest I didn’t quite get the “while all the boxes are on display in the options” part. Can you please elaborate? Or you could also send me the ftp details and a wp account and I can check it out, not sure how fast though, as we want to wrap things up with the new version asap. I run a small promotional staffing and talent management service. I have recently tried WordPress. I have really liked WordPress specially because of the plug-in system and its unlimited possibilities. Shirt Size, Shoe Size etc. etc. We receive this information as an email. We have a second kind of visitors to our website these visitors are: Event managers, party planners, exhibitors, companies seeking short term staff etc. We, over the phone note their criteria for staff they look for and then send them a few profiles over email. I’m now looking for a membership system where each of these staff can create their profile themselves. The email-form that they fill today contains all the information that is required I wish this information can form as profile pages on my website (Of course ofter moderation). The name of staff (There should be staff-code in place of name) and any personal details. 3. Admin : Nothing hidden everything shown. The user may update their profiles (Subject to moderation and approval by admin). What are the possibilities to do the above by using ProfileBuilder? How? with profile builder you *could* add the fields you mentioned earlier EXCEPT the portfolio part (which can be done via custom work). This would create a user, but with hooks or some simple customization you could set up which user gets access to what. Personally I would opt for a custom work in this case. Great plugin! I am considering purchasing the Pro version but have a question first. I need to know how the data is stored when extra fields are added. Is each field added in its own row in a table or are all of the data fields added in an array in the same field. Not the best example, but I need the data to be stored in individual rows so I can easily manipulate the data via MySQL. thank you for showing interest in our plugin! Regarding you question, each of the fields hold individual data completed by each user (just like in the first example you posted). We did it like this so that users can use basic WP functions to retrieve and display data if needed. If you have any further questions, feel free to ask them! Hi, we are using your plugin for our site, however we are having an issuewith the log in page when someone logs on, the message says you will be redirected within 1 second, however it redirects back to the same page you’re already on. We want it to go to the Home page. Is there anyway to change this in this version or is that only available with the PB Pro. Thank you. indeed custom redirects are only available in the pro version. i used profile builder plugin for front end login and register. Its nice plugin for registration. But i have some problem with only signup(register). When i put register code in admin page [wppb-register] . then i go to front end link ,i got error in page like “Only an administrator can add new users.”.So how solve this problem. Please help me. first of all i just want to say that your plugin is amazing!!! thank you…..
second of all will you be upgrading the pro version so that is has a email confirmation?? i have read about this topic in other posts but i was just wondering if it would be for certain and when it would be released!! my website is growing rapidly and i need this plugin to be able to support email verification! We will add such feature in the next update (pretty sure of that), but I can’t give you an exact time estimate. The only thing I can tell you is that we will release a custom userlisting plugin for Profile Builder first, and then we will add new content to Profile Builder; so in around at the start of February at latest (maybe even earlier, it all depends on the number of new features we will add), we should release the new version of PB. Are you using the free version of Profile Builder? If yes, then expect an update on the .po and .mo files tomorrow or wednesday. Indeed, using the free one for this client. Thanks for the response. I am toying around with the free version of profile builder, and I must say, I like everything I see, except one thing. While everything works great, and I am thinking of buying the pro version, I am concerned about this one thing. What is happening is that my admin bar disappears whenever the plugin is activated, regardless of the settings. I have also tried to see if it is conflicting with one of my other plugins, but no, I have found no relief here either. I noticed that this issue has been brought up before, albeit sparingly, but no solution was voiced, as you could not replicate it. I am wondering if anything has been discovered since this was last mentioned? Are there any fixes or ways to disable this feature in your plugin? the first time we had the admin bar not showing up, we fixed it, and it worked fine. In WP version 3.3, they changed certain things how WP operates, so it broke our plugin yet again. We issued a new version (the working basic one is at version 1.1.13, so get that if you have an older version) and you should be ok.
I’m working on a our WordPress 3.2.1 website with others and we put in your pluggin for Registration. When someone tries to register, they get a message ERROR: The user field is empty. When some of the registered guest go to there email, they find a confirmation that the registration was successful. Any ideal what may be going on here? first of all let me know please which version of Profile Builder you are using so I can test it out for myself (is it the latest one from wordpress.org or an older version). Also, is this the first time you are using this plugin, or is this error relatively new? I’m having the same issue. I’m using Profile Builder 1.1.15 on WordPress 3.3.1, and I have the shortcodes for login and register showing side by side using do_shortcode in the template, which only shows after doing an is_user_loggedin check. The login works correctly, but on registration, it returns the error above (on the left login box, not in the registration box, even though I click submit on the registration form), and when it returns to the page, it hasn’t set the logged in cookie, so new users don’t see the content without having to manually login using their new credentials. I want to set the cookie on registration so they pass the logged in check, and don’t know the registration form is causing the login form to fire off the missing username error. I issued an update which has an extra filter. You can take use of that and add a working automatic login. The code you need is in the documentation section, under “Automatically log in after registration”. I have this very bad problem withd the avatar field I just purchase a PRO version but when I put on active this message appears over every avatar in the theme. Warning: Missing argument 5 for wppb_changeDefaultAvatar() in /home/pabloislas/carrillo180.com/wp-content/plugins/profile-builder-pro/premium/functions/premium.functions.load.php on line 50.
we have a dedicated forum for our clients, here is the link: http://www.cozmoslabs.com/forums/. Regarding your issue, I have never seem this error before. What did you do more exactly? just activate the plugin? nothing else? please supply me more information (in the forums section), but if you only activated it and did NOTHING else, the best way I can debug it is to send me ftp details and a wp account with admin rights to gabriel@cozmoslabs.com, specifying your error. I’m having the same problem. There is nothing regarding this in the forum either. please create a thread on the forum with the errors you get. Also mention what you did, and what version you have. Today, I updated your plugin into Version 1.1.16, and stack, Just log by FTP changed the name of your plug in “index.php” into different one and by force disabling your plugin, got my web back. There was no luck to load any part my of web page, even admin log in page. lol. Nice Protection!!! It can’t be activate before fix this error “No direct script access allowed”. Want to fix this error, which place should I need to check? There is no error I’m seen, before this update. Due to your update, the plugin doesn’t work anymore. Ok issued update, and it’s fixed. Sorry for any inconvenience! Still showing the same error. Nothing fixed on my end. And you have version 1.1.20? Yes, version 1.1.20 – I’ve even removed the plugin and tried to reinstall, same error. Won’t let me activate the plugin because of the error. @Gabriel, Thanks for the quick updates. I’ll be refreshing to check back. I am trying it out locally to debug it and keep issuing updates. Will get back asap! Ok, version 1.1.23 seems to be working. Please check it out, and again, very sorry for the inconveniences caused. Activated just fine, Thanks a lot Gabriel! Hey Gabriel!, Thanks, It is working now. Thanks man, Good plugin, Good job. really a great job man! How do I view the users profiles? How do they view their profiles? And can any addiitonal information be added to their page, any html in their bio? regarding the viewing of user profiles, I assume you are referring to a userlisting, which is only available in the pro version. As for adding html to the existing fields, we made PB so that the html would be stripped, so that no one would break the theme. If you wish, however, you can order a custom work for this case. Thank you for responding. I saw the user listing, but I was wondering is it possible for the user to view his own published profile? Yes, either via the edit profile page, or he looks himself up in the userlisting. Hey Gabriel, I wrote a while ago about portuguese (pt_PT) translation on the plug in and that it’s not present on any of the updates that came after I asked if there was an official one but haven’t seen it yet, I still need to upload mine with each update or might be after it broke last week that I need it to put it back on the server. Also I still have a problem with the checkbox “Send these credentials via email” which is not translating at all even if I put it on poedit. The rest of the form is correctly showing but that line isn’t. we are not maintaining any updates on the translations other then the english one, which means that more or less each translation (except the english one) is either missing, or outdated (this is why you have the checkbox issue most likely). Each time one of our customers creates a translation we include it in the plugin, but that’s about it. Hey Gabriel, i cant get the dutch language to work, the config page is translated well, but the “forgot password” page under “Meldt u aan”->”Wachtwoord vergeten” isn’t translated. I have tried everything from the posts above. Download Poedit and search for the given string; then check if it’s translated or not. As I said in a post earlier, any other translation than the english one is more then likely to be outdated. If – by a chance – the string is not present (in english) then let me know and I will issue an update. There were about 30 fields that were not translated. I did it myself for now, so my problem is solved with poedit! Just so I am clear, On the free version you can create a profile, but it is not viewable anywhere unless you have the paid version? Please explain. I’m trying to decide if I need to upgrade or not. I dont need an entire user listing, I just want my members to be able to view their own profile pages. viewing ones own profile page can be done in the free version also, but he/she sees an editable page (the edit profile). So viewing each others profiles is done through the paid version? If the only thing that you need from Profile Builder Pro is the user listing, then you can always use something like http://wordpress.org/extend/plugins/people-lists/screenshots/ and use Profile Builder free to take care of the log-in and registration. Thank you . Ill test it out . I appreciate your help. If I didn’t understand your question, and you actually wanted to know something else, please rephrase your question. Hows the Pro version coming up? Will it be possible to integrate Buddypress’s xprofile filed in the registration form? sorry to disappoint you, but we don’t have any plans for something like this in the near future. Hi i currently use registration form widget and sidebar login for all my users, but i was just wondering if i can use the profile builder with these 2 plugins or not? Just a quick thank-you for this plugin. I’ve been using it on my site for about a year now and it works an absolute treat! Users much prefer a ‘registration’ page to an opt-in page and its worked wonders to my lists. One tip for newcomers… when you’ve installed it, and the registration page says you can’t add new users at this time, make sure you’ve ticked the ‘anybody can register’ setting on the ‘general’ page under settings!! Hello, and thanks for the plugin. I am thinking of purchasing the Pro version for the extra registration fields, but I have a question first regarding how it would work on a multilingual site. Right now, I am using Theme My Login and Cimy User Extra Fields to achieve (I think) the same effect as Profile Builder Pro for registration. But the problem is that Cimy User Extra Fields does not enable field labels for the extra fields to be translated with WPML or qTranslate, and the site I’m working on needs to be multilingual. Is it possible to use Profile Builder Pro with WPML or qTranslate to show different translations of the labels of extra fields, based on the language the site is being viewed in? to be honest we never really tried that out (the WPML I mean), but it does change the language when the theme requests it. What we could do if you decide to purchase it and try it out, is to give you a refund if the WPML translation doesn’t work. EDIT: we tried it out now, and sadly it doesn’t work as it is. We will add support for this in the near future though. Ah, that’s too bad. Thanks so much for trying it out, and I’d love to see this in a future version. How far are you guys on this one? Otherwise, we will try to get there ourselves. unfortunately we are currently working on a customizable userlisting feature, so I must say this – regretfully – that FB connect is nowhere in sight (yet). Hi, profile builder was working brilliantly for weeks, but now i’m facing a problem where after i login through the front end, it goes into a blank white screen instead of refreshing. Any suggestions on how I can get it working again? Also, tell me what have you done (changes) lately that you think it might affect the plugin. In case you don’t know, you can send me your FTP info, with a WP admin account and a small description/link to your issue to gabriel@cozmoslabs.com and I will check it out as soon as I get some spare time. I have a question. It is possible to add new custom fields for the registration? If it possible, how I can do that? unfortunately you can’t add extra fields with the free version of this plugin. The only other thing you could do is hardcode it manually, but then you would lose any changes made upon update. Thank you Gabriel for the fast answear! wp-content\plugins\profile-builder-pro\front-end\wppb.register.php is the file you want to edit to add a new input for registration. You need to add the input, and upon saving (creating) the user, save it as a meta field in the user_meta table with the user’s ID. I want my users to be able to upload images to their profile (maybe 3 to 5 photographs). Can this be done with the Avatar option?… could you have 3 to 5 avatars posted to one profile? no…only 1 avatar can be assigned to 1 profile. You can use however multiple upload options. I use Qtranslate PlugIn in my home page, and I get the PoEdit to edit the German Version File, the problem ist that some Field are translated and the other not. Any idee on what can this hang?? After trying pretty much every possible plugin for front end user registration and login, I’ve pretty much settled on this one. I’m just having an issue where every time I register a new user, I get the “Sorry, that username already exists!” error, however the user actually does get created, and I can then log in. But why would it be giving me that error? I also am getting this same issue. Not sure why. I’m gonna source dive and come back with answers. front-end/wppb.register.php:327 – this line is triggered because for some reason, the user gets made before this check? I made the code break if this error occured, and then checked the database – the user was being made somewhere else. The code below that runs wp_insert_user (line 356) never actually gets called. Something is screwy. I’m checking to see if the register form’s details are being interrupted by other plugins for some reason. Best I can tell is that the plugin’s register action is running twice for some reason. We’ve had to stop using the register feature of this plugin because of the false negative it gives our users. I’ve installed the Pro version and I’m loving it, but the custom redirects don’t seem to be working on my site. I’ve turned on redirects for after login and after registration, but neither redirects are taking effect. So after login, instead of redirecting to the URL I’ve designated, the page simply reloads the login page. What is the best way to translate the extra fields I have added to my register form. can i use profile builder plugin in sidebar???????????? Nice plugin… is there any builtin shortcode to show the custom fields value on frontend author profile page? Does it work with this one too? we are currently working on the admin approval, and email confirmation features as we speak, as currently none of these features are supported by PB. Have you added the ability to have new users be approved? Yes Sam, Profile Builder now features Admin Approval as well as Email Confirmation for new users. I have profile builder PRO and having problems with the redirects. It works fine in firefox and ie9 but not ie8 or below… any ideas? unfortunately I don’t know why IE8 and lower don’t support the redirects, but what you can try is upgrading to the latest version (v.1.1.33) and see if that has the same issues. If yes, it is a browser issue (which means that given browser doesn’t support the redirect function from WP). in terms of playing with these 3 ? the roles created with Membership (I hope I am not mistaking this plugin with another one) are detected by Profile Builder if it is re-activated (in case you installed PB before adding the extra roles), but any other functions are more than likely not supported (we didn’t do extensive testing, but Wishlist and S2members are surely not compatible). Users, who register by this plugin get subscriber role by default. What shall I do if i want users to get, for example, an author role after registering? well, instead of using the default shortcode of [[wppb-register]], you must use [[wppb-register role="editor"]] for each user who signs up to be an editor. Works with any (valid) role you want. Once you created a new file (let’s say hungarian) you need to save the file in the folder as profilebuilder-hu_HU (please check shortcut for other languages!). Then all you need to do is in your wp-config file set the language to hungarian. The rest should be taken care of WP. Great Plugin……….. I am using your plugin to redirect to my second WordPress site through first WordPress users… Its working fine but i have one question…While redirecting to the second site it will take 1 second time……. Can it be possible that it will redirect automatically to second website without taking 1 second time. thank you for your kind words. Unfortunately the http refresh used by our html method has a minimum delay of 1 second. Ive managed to make the entire plugin work but I have an issue. Once a new user comes in and registers himself , he/she is automatically assigned the Role of ‘Subscriber’. I dont want this to happen. I want the role of my choice. Please help me out here. – Can I remove the labels on the registration form (About Yourself, Contact info, etc…)? – When I click “lost password” it will redirect to the wordpress forgot password page, NOT the [wppb-recover-password] page (accessible by typing it), why? – in php how do I see if a user is logged? Like the free version. Just paid for the pro version. Downloaded. Installed. You just need to uninstall the free version, and keep only the pro one, and you’ll get rid of the fatal error. Is there a way to notify (through email) the admin if a user updates their profile in any way? It is working fine– finally. But there is one small issue. I am not using the Author Bio field of the form and have removed it from the WP settings. Problem is, the “About Yourself” heading is still showing up, and it makes no sense because there are no questions about the using under it, only fields for setting password and repeat password. http://screencast.com/t/djBvlvoG0A I don’t see any options in the WP PB settings area for removed the little section header. Is there a way that I, an non-coder, can remove that heading? Is really looks stupid placed in that context. Issues with assigned User role. How do you add a captcha or quiz to the pages where you add the shortcode? Profile Builder Pro has support for reCaptcha included. thank you for letting me know of this; somehow this function got overseen when we added unique names to them, but I have made the necessary changes, and will issue a global update in the near future! thanks, this is a very useful plugin! I am considering buying the pro version. before I do so, could you please inform if the extended user profile information (afforded by profile builder pro) will be captured by WP API plugins such as “JSON API”. I would need programatic access through an API to the extended user profile data. is that possible in the Pro version? I’ve found today that this plugin breaks down in WP 3.5, specifically in the new Upload Media functionality. With it activated, I could not use the new drag-n-drop media uploader, nor could I close the media manager. Trying to drag an image into the manager just loads the jpeg in the browser window. I isolated this plugin by deactivating all my active plugins and selectively turning them back on until I reproduced the problem. I know a lot of plugins are failing in 3.5, so there should be a patch coming soon. we have tried to replicate this, both on the free and the premium version, but things seem ok for us. Can you tell us which one are you using + what version + what WP version you currently have (I assume you have 3.5, since you reported this). Many of our users requested that so we implemented Custom Redirects, a feature which is available in the PRO version of Profile Builder. – Am I able to manage pending users on free version?? will it be able in Hobbyist version? Tried updating to the latest version and received the following error: “Fatal error: Call to undefined function wppb_return_bytes() in /home/content/s/t/i/stit9811/html/xstb/wp-content/plugins/profile-builder/index.php on line 67” Could not reactivate. Ended up downgrading back to 1.1.41. This was through the automatic updater functionality. and thanks for letting us know about this. We already issued a hotfix, v.1.1.44 which should fix this, and another bug we found. Hello Gabriel …. im wondering if you have front end files translated to spanish,…. for example… wppb.edit.profile.php because i get notifications in english…. or is already translated and im doing something wrong to show notifications in spanish? Im now try useing your AWESOME front end editor for the user . But the problem is that it loads the standard information but not the extra fields i have. What i can see in the code it should load but it doesn’t. Please note we didn’t intentionally limit this functionality, it’s just not straight forward to manage extra fields added by other plugins. WordPress doesn’t store extra-information for it’s usermeta fields other then the user id, meta id, meta key and meta value. There is no place to put information like: type of field (select, checkbox, input), labels, description, etc. that we might need to generate the login, registration and edit profile fields. But just want to make sure, is it customizable? Can you provide help with applying specific needs if i bought it? Up to a point, yes. Small css tweaks or guidance on it’s best to achieve certain tasks. Even small plugins that hook into Profile Builder and chance some small things. However, we don’t have the capability to offer custom development for Profile Builder clients. This means extensive customization of the product or integrating Profile Builder with other plugins, etc. All this is a little vague, so if you have something concrete in mind like a certain case you envisioned, please let me know and I’ll be able to give you yes or no answer. Hi, We want to buy the Pro version of this plugin but first I was wondering if the Pro version would be able to have fields so the user can assign themselves to a specific group/groups when they register? Hi Crystal, there is no group functionality, similar to what you would get in BuddyPress (http://buddypress.org/). I want to adopt in version Pro. But first I need to know if inside the login page, you can call the buttons of «Social login Plug-In». Should I use a specific technique because your form is detected as “login.php”? Hello Carlo, Social Login is not compatible with Profile Builder. So unfortunately, in this case, it’s not possible. I just purchased the Hobbyist ProBuilder. Its not loading into my Word Press dash board or plugin. I’m a complete novice. Can you help me please? By the way, I have Word Press 3.6.1. Please how do I hard code an edit to the ‘from name” and “from email” that is used in email notifications to new users for the free Profile Builder version? I want to add users and then allow them to edit their profiles afterwards. Is the a plugin would accomplish this functionality . Now i am installed the plugin but i need to login from admin before regisering throgh front end. Please help me on this issue…. I am trying to register from front end user registration but I have been getting always shown the error as “Sorry, that username already exists!” . This issue occurs where I register a new user. I have looked and found out the “WordPress SEO” Plugin affect “PB” plugin. But I have important “WordPress SEO” Plugin in my project. I have used “PB PRO” plugin. Can you tell me what is solution that one and Why these issues occur in PB PRO version? Can you please check in the database after creating the user (even if you get this error), if the user is added. Some times, we’ve experienced this bug when the site tries to do two redirects. The one from Profile Builder needed to submit the form and another one from another plugin. If the SEO plugin is the culprit, please try using http://wordpress.org/plugins/wordpress-seo/ (in case you’re using a different one). Question: how do I modify the widget in the top right of my WordPress site, which shows ‘howdy steve’ and if hovered, shows you Edit Profile which takes you to WP’s bizarro page. I would like that to go your your plugin’s page that I created. That is available in the Pro version. Is it possible to add a hyperlink in the profile of a user? I want to link a document that is associated with a specific user once they log in to edit their profile. I am a total “newbie” at building websites. I installed the free version of Profile Builder just to see if I could use it. Your instructions are great, so thank you. And, installation was simple and clean. I created a page called Create Account and used the shortcode: [wppb-register]. Then I went to another browser and tested it out. Everything worked wonderfully. I received a confirmation email, clicked on the link to confirm my info and the new user showed up in WordPress. But, the problem came when I tried to create another new account. Now I’m getting the message “Only an administrator can add new users”. I’m sure this is a setting, but oddly enough, I’ve changed nothing. Any suggestions on how I can resolve this? I am using the Hueman theme. Thanks for looking into Profile Builder. You’re right, this is a setting in WordPress. Just go to the Settings tab in the back-end, then click General, and make sure that under Membership you have “Anyone can register” checked. hi, i am using wppb login widget front of my site, i want to change profile author link to edit profile after login,please tell me how can i do it? How can I add a customize function that works like after registration adding a WooCommerce product into shopping Cart and then redirect the user to the Shopping Cart View page? I realize WPB’s widget is not complete. After login, it doesn’t have an option to select a link to the specified profile page. All I’m seeing after login is “You are currently logged in as name. Log out »”. Will the team be improving this widget further? I’ve installed your app and it works great. I just have one thing I’d like to ask. Is it possible to have the user directed to a PAGE once logged in rather than showing the backend of the website where they edit their profile? The reason I ask, is I would prefer my users to not have anything to do with the backend of the website whatsoever. i am using this plugin form but i like add a upload resume field so how can i add it in the form.